Sophia Day Nov 04 2018 5:32 pm I think I'm falling in love with Daiki Shigeoka. I am starting to learn Japanese and I really want to go to Japan. He is an idol for me and I'm hoping I get to go to one of his concerts one day. The first time I saw him was on the Netflix original, Switched. Since then I have been doing a lot of Japanese things. I'm slowly learning the culture and language of Japan. If anybody reads this and has any recommendations on any books or websites on Japanese culture and language please let me know. lilyrene Oct 15 2018 3:02 am i really love Daiki!! The first time i see him is from the movie called "Switched". The movie was so good and exciting! the way he play the role as kaga was amazing too and everytime he smiled makes my heart goes badump loll!! I really look forward to more of his acting!! Becks Oct 09 2018 4:34 pm I found Daiki from Switched on Netflix. He was my hero in that. I was shipping Kaga and Ayumi, I wanted Kagumi to happen!! Kaga should have got the girl, not Koshiro ? Daiki was amazing in it and I really hope to see him again in more programs, but where he’s an adult role so I can fancy him without feeling a bit weird! He’s got a fantastic smile, he’s so cute. Looking forward to tracking down his other shows ? Yaaa Sep 19 2018 2:57 pm Daiki is so awesome! First saw hin on Switched and I really love hin acting and role! You can say I fell in love with him! Will watch others drama of him! Pchan Sep 08 2018 8:18 am watching him in SHARK 2nd season is funny.. coz it was like watching Yamapi and Akanishi Jin (his buddy). LOL.. I’m not seeing things. Honestly he’s more good looking now compared to 4 years ago. His look has matured, yet still looking young. Emi Aug 23 2018 12:14 am I’m only at episode 2 of Switched, and I think I already died ‘cause his character Kaga literally kills me and he is actually so sooo cute!!! Also, what a great actor! So far, Daiki is absolutely owning the role of Kaga. CHESTERRRRRX Aug 13 2018 2:57 am Absolutely loved him in Switched! Unlike the other male cast in the series, he actually looks like he could be in high school (lmao, no hate to the other guy). After seeing the intro in the first episode, I had to pause and immediately search him up 'cause he was too good looking not to search up. I hope he ends up with the nice girl (again, paused after the intro so I'm not familiar with names, yet) or I'm going to have a major second-male-lead syndrome. brown Aug 10 2018 11:22 pm You did well!! His character and smile was contagious from Switched! I loved it so much. jenn Aug 09 2018 12:59 pm He was Amazing In Switched !!!! I Fell in Love with Kaga's character!!!! Daiki Did A Great Job !!!! Im watching Blazing Transfer Students Now ! Thank You for Your Work !!! Hazel Branham Aug 09 2018 11:14 am Omg! 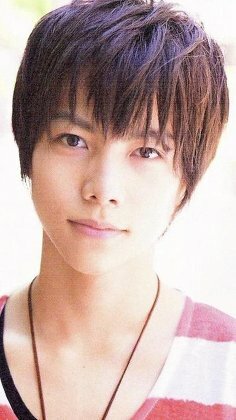 I loved him so much while watching the drama "Switched." It was so cool! Definitely recommend it! He was so cute and adorable while playing his role was Kaga. Adinda Aug 06 2018 10:48 pm Currently watched Switched, episode 4 now. OMG, I love Kaga so so so much. I know it is an act, and he did it very well. All of Kaga's expressions and love to the real Ayumi looked so genuine. Plus, he is super cute! Well done Daiki Shigeoka! Ines Aug 04 2018 6:38 pm I've finished watching switched and...... I love him soooooo much!! He's just the cutest thing ever! Really hope that they make a season 2. Naomi Aug 03 2018 9:36 pm Omgggg i just finished the show and i love him!!! Nett Jun 30 2017 8:51 am He deserves more attention. He acted well in Drowning Love with Nana Komatsu and Suda Masaki. And do not forget his good act in Shark season 2.